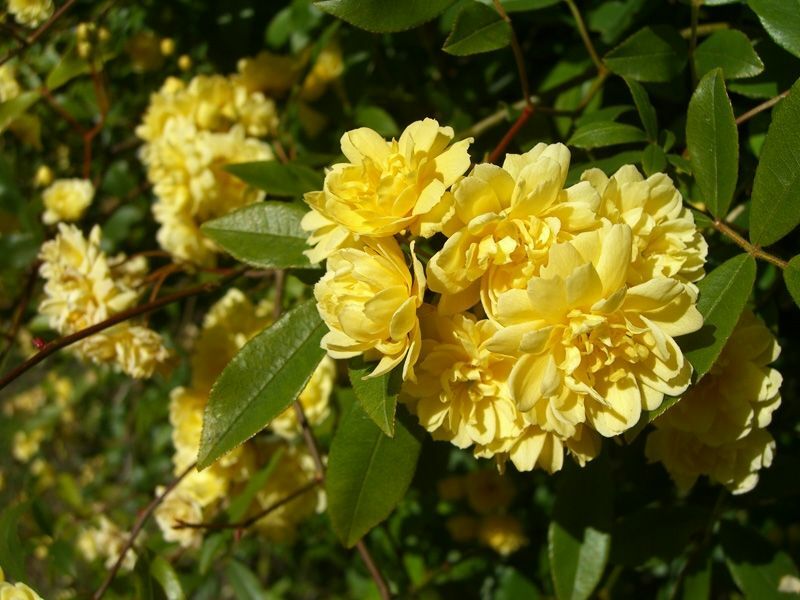 Banksiae roses, also known as Lady Banks Rose and Tombstone Rose, grow on a vine which can climb up to 20 feet tall. The flowers are white or yellow and bloom in the spring. Due to their climbing nature and aesthetically pleasing booms they are an excellent choice for arbors. The scientific name is Rosa banksiae. It is a perennial flower that blooms every year. The flower is native to central China.